Have you heard about Korea's birth as a nation? Do you ever wonder who founded Korea? 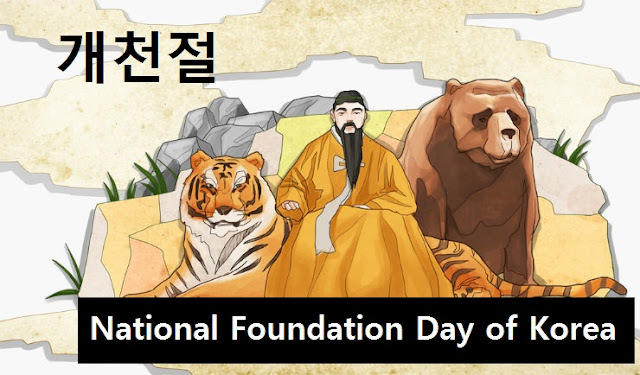 Today, October 3, Koreans celebrate National Foundation Day. There are a lot of stories about how Korea was mythically founded and we'll share one today. According to Samguk Yusa (삼국유사), also known as the Memorabilia of the Three Kingdoms, Dangun Wanggeom (단군왕검) founded the first Kingdom of Korea, Gojoseon, in 2333 BC. 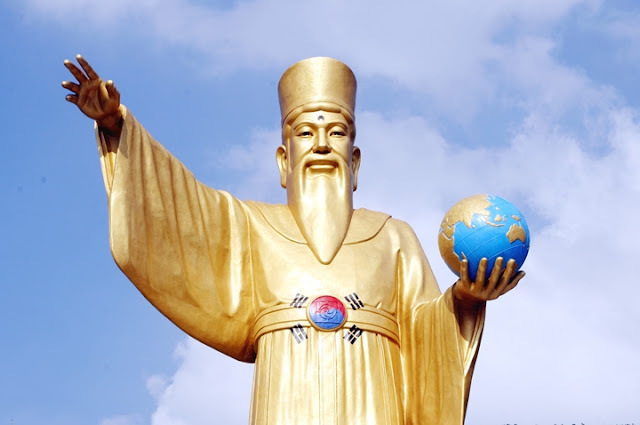 His grandfather, Hwan-in (환인) was believed to be the "Lord of Heaven", while his father, Hwan-ung (환웅), descended to earth and founded a society on the Korean peninsula. 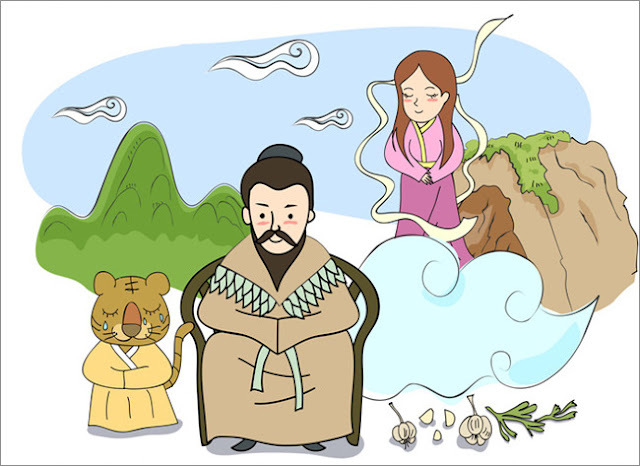 In some versions of this myth, it is believed that the society was formed on Taebaeksan Mountain (태백산), while some says it was on Baekdu Mountain (백두산). A bear and a tiger came to Hwan-ung asking him to make them humans. Hwan-ung agreed to grant their wish under two conditions - first, they will only eat the bundle of sacred food that Hwan-ung gave; second, they have to stay in a cave for 100 days. If they succeed in these conditions, they would become human. The tiger managed to follow these conditions only for a few days. The bear followed Hwang-ung's directions and became human in form of a woman and was named Ungnyeo. Ungnyeo gave birth to Hwang-ung's son, Dangun, who ruled Gojoseon for 1,500 years then became a mountain god called, Sansin. Gaecheon (개천) which literally means, "Opening of Heaven", refers to the date when Hwan-ung (환웅) descended from heaven to live with mankind. Many Korean shamanists believe that the date of gaecheon fell on October 3, 2457 BC. 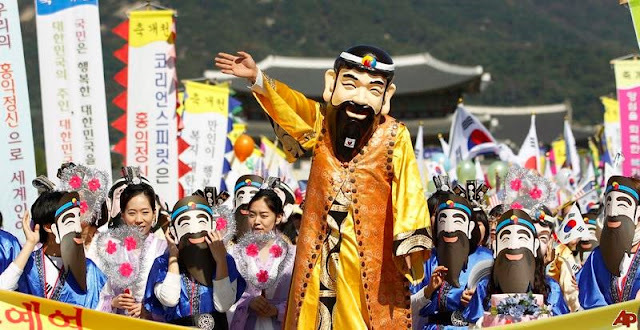 In 1909, Gaecheonjeol (개천절) was enacted as a national holiday. At first, the holiday was observed on the third day of the 10th month on the Lunar calendar, but it has been fixed on 3 October of the solar Gregorian calendar since 1949. The story of Dangun remains the most popular myth on the founding of Korea. Koreans now celebrate this story on October 3 with traditional ceremonies, modern parties, and a feast. When you're in Korea today, here are the things that you can do to celebrate with the Koreans. 1. Visit Taebaek Mountain in Gangwon-do. 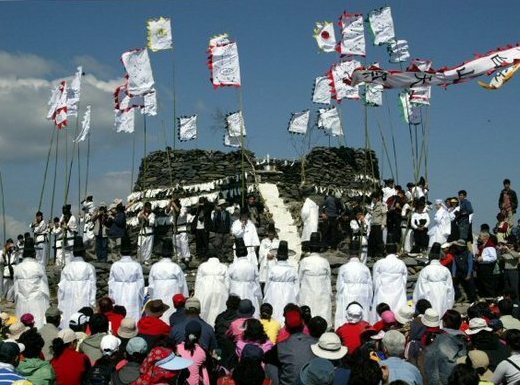 Traditional ceremonies are held in various sites in Korea, but Taekbae Mountain is considered the most sacred as it is believed that this is the site of the first society of Gojoseon. It is believed that in the ancient times of Korea, Seollongtang was served during Gaecheonjeol. 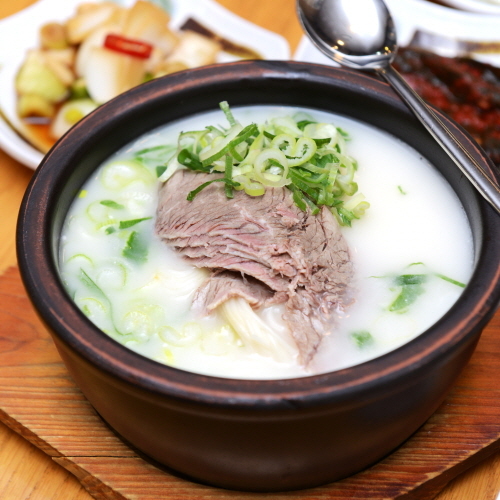 A King in the 15th century once served this beef bone broth soup to people who gathered to celebrate Gaecheonjeol. 3. Join street parades and performances. Watch the parades of smiling Danguns in the streets of Korea. The Sejong Center for Performing Arts also holds performances that features traditional Korean music and dances. Gentle reminder for everyone that October 3 is a public holiday and most Korean government offices and establishments, even tourist spots, may be closed.